2014 was a strange year for me. I left the National Post to again pursue freelance work when life happened and shooting pictures became the furthest thing from my mind. Eventually, however, work became a decent distraction and I managed to get a few things in focus while avoiding bankruptcy. In any event, here are some pictures that I remember from last year. 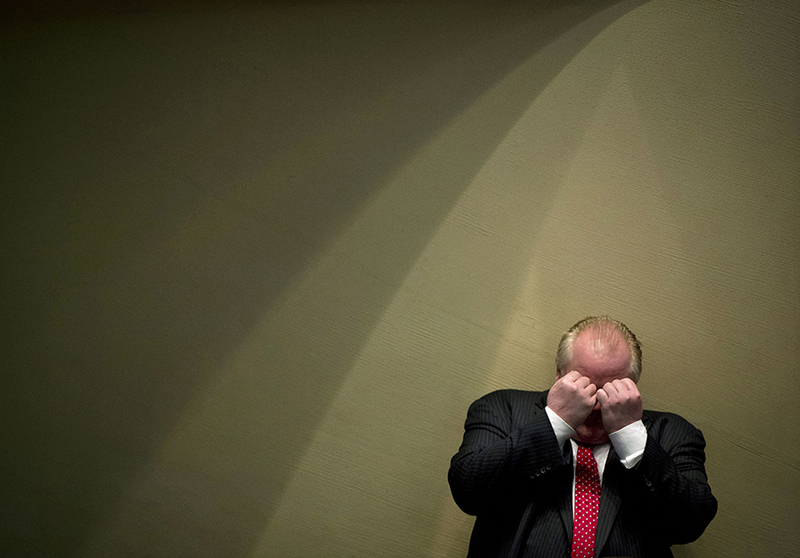 Mayor Rob Ford jokingly mimics a boxer’s defensive pose during a city council vote on the 2014 capital and operating budgets at City Hall in Toronto Thursday, January 30, 2014. 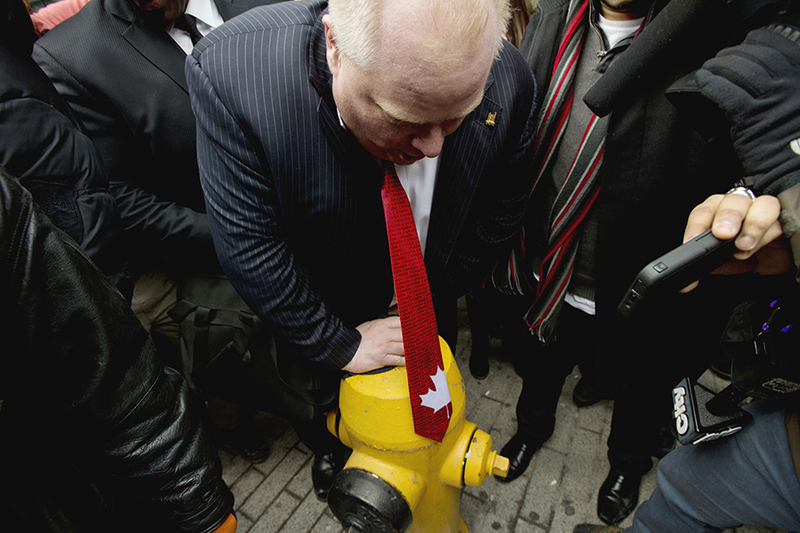 1 of 3 – Toronto Mayor Rob Ford runs into a fire hydrant while celebrating at Maple Leaf Square in Toronto following the Canadian men’s hockey team winning the gold medal Olympic final 3-0 against Sweden in Sochi, Russia Sunday morning, February 23, 2014. 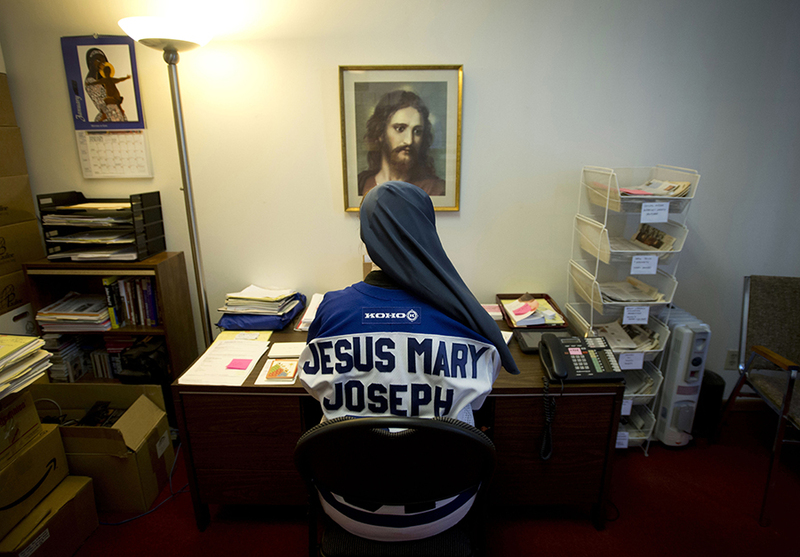 Sister Helena Burns, a hockey-loving Catholic nun, wears a Toronto Maple Leafs jersey while working at her desk in her Toronto office. Sister Helena belongs to the Daughters of St. Paul who embrace technology and evangelize through various media. 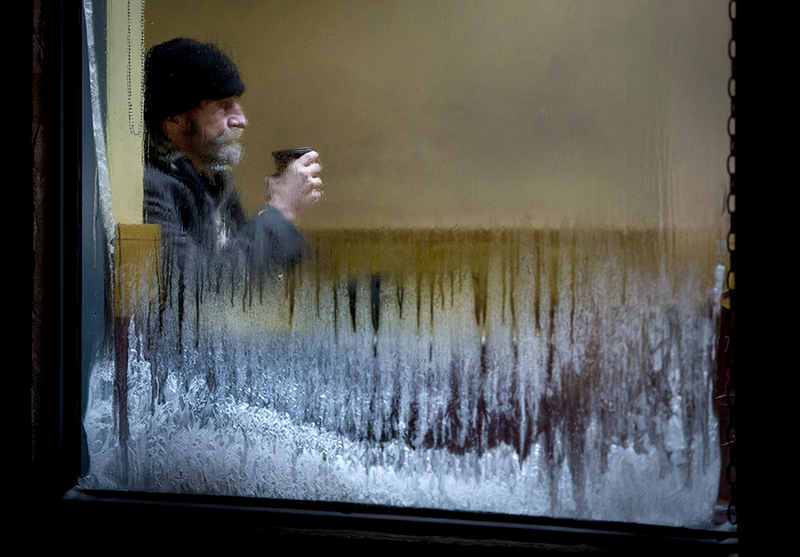 Ice forms on a storefront window as a man sits with a coffee Tuesday night, January 7, 2014 as Environment Canada issued a weather statement due to a polar vortex. 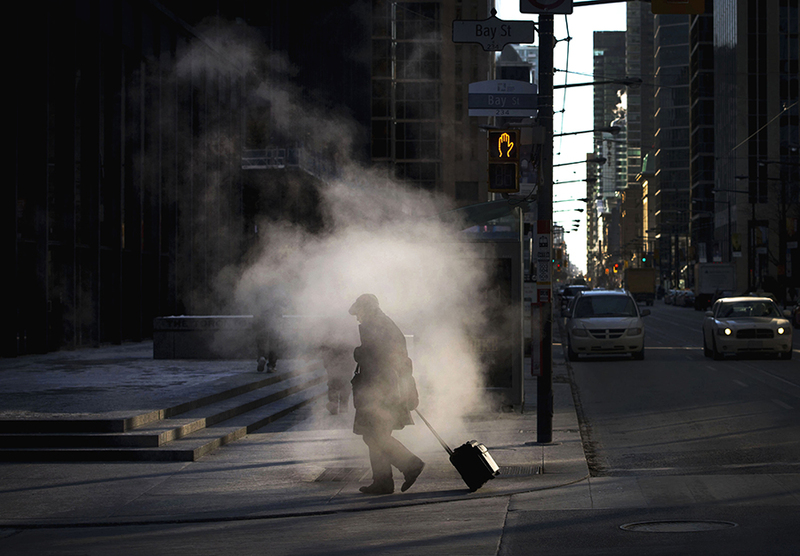 A man walks through steam rising from a grate at the corner of King Street and Bay Street during a frigid day in Toronto on Tuesday, January 21, 2014. 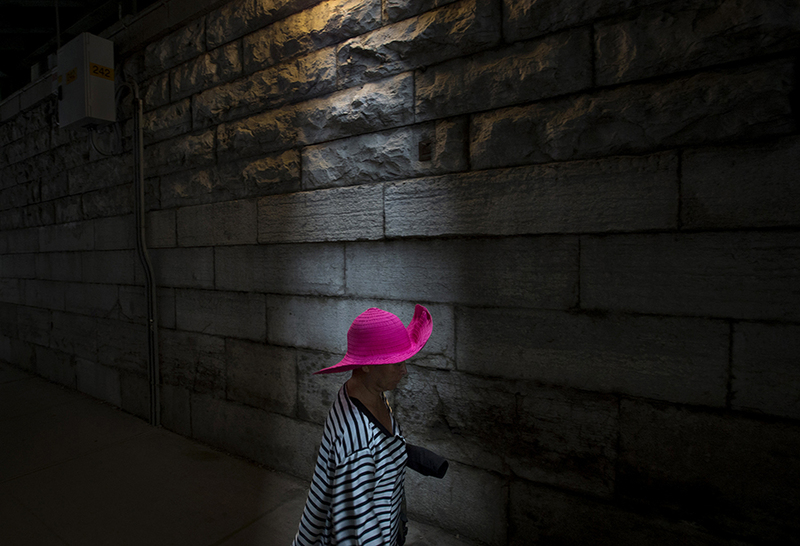 A woman walks through a shaft of light under a train bridge in Toronto, Ont. on Wednesday, June 11, 2014. 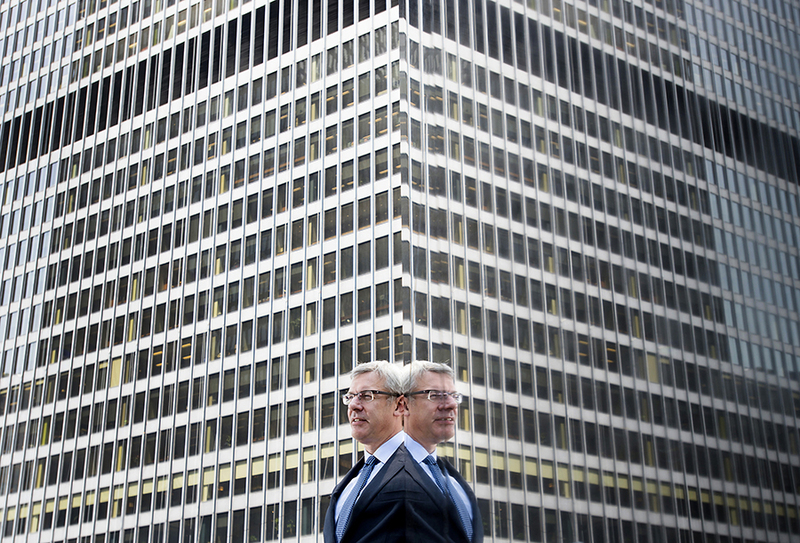 Dave McKay, newly appointed CEO of RBC, on Bay Street in Toronto on Friday, July 25, 2014. 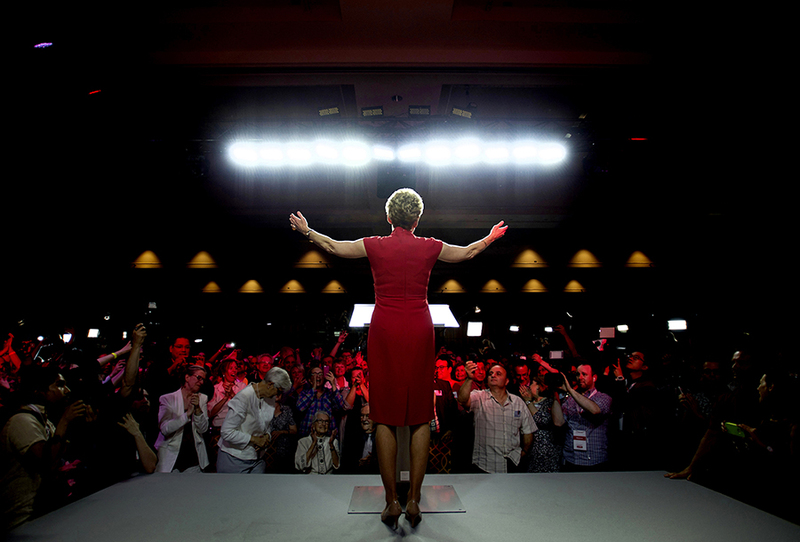 Ontario Liberal Leader Kathleen Wynne acknowledges supporters at the Liberal’s election night headquarters in Toronto after winning a majority government on Thursday, June 12, 2014. Wynne became both the first female premier of Ontario and the first openly gay head of government in Canada. 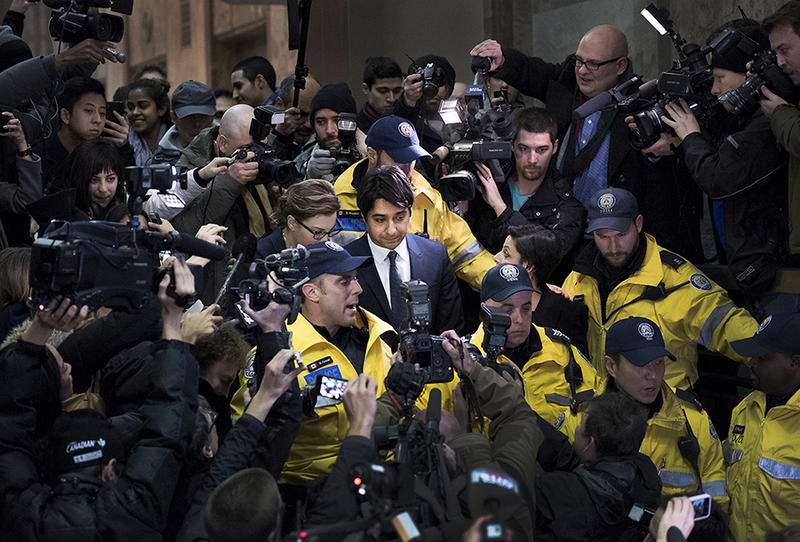 Former CBC Radio host Jian Ghomeshi, centre, is escorted out of court after being released on bail in Toronto on Wednesday, November 26, 2014. 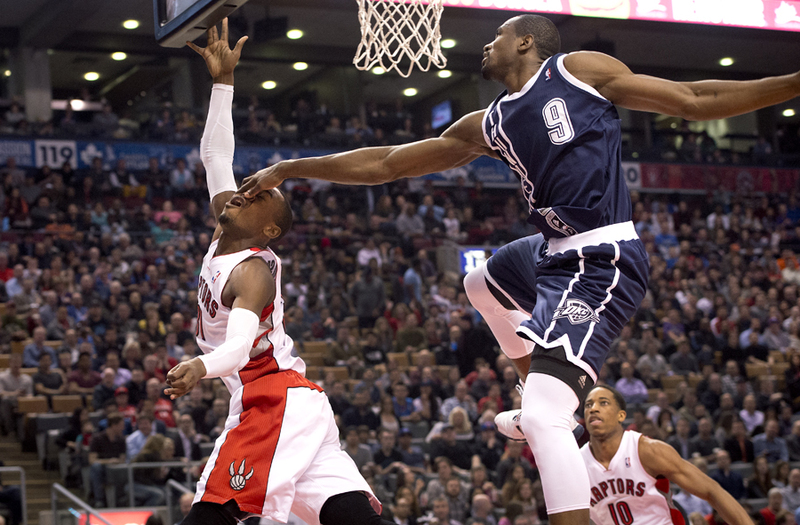 Toronto Raptors’ Terence Ross, left, gets fouled by Oklahoma City Thunder’s Serge Ibaka during first half NBA action in Toronto. 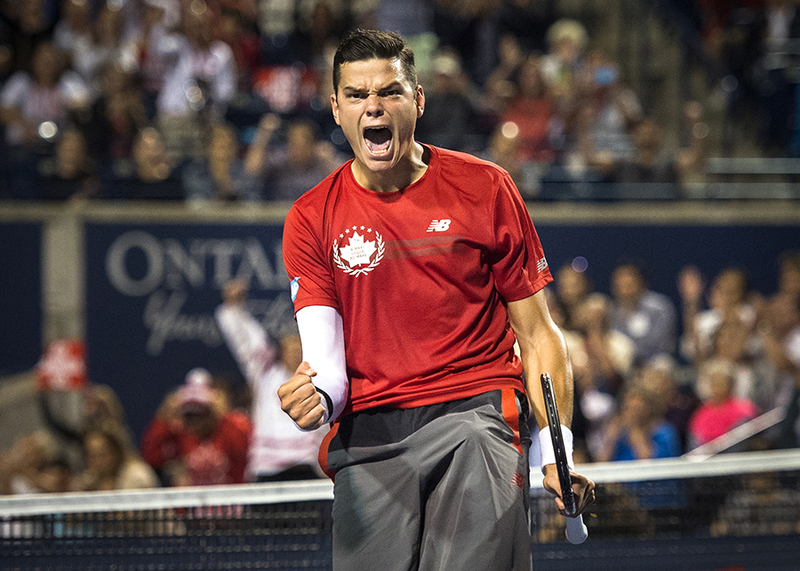 Milos Raonic of Canada reacts after defeating Jack Sock of the USA in men’s second round Rogers Cup tennis action in Toronto.